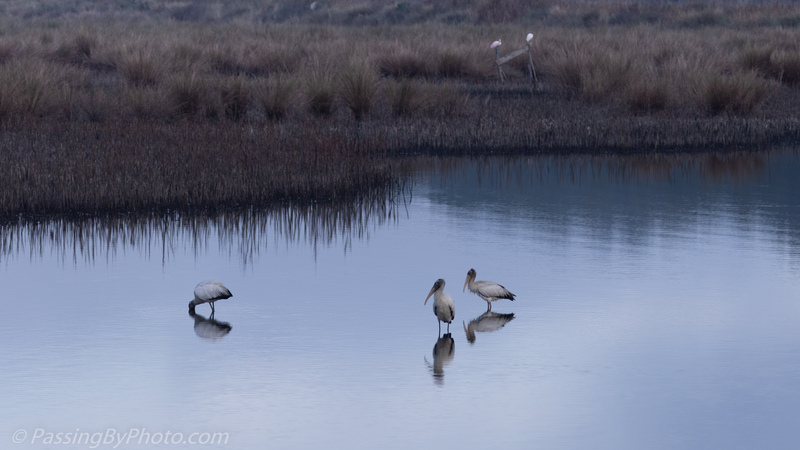 Even though it was well past sunrise the light was dim from a low, not quite fog, haziness. 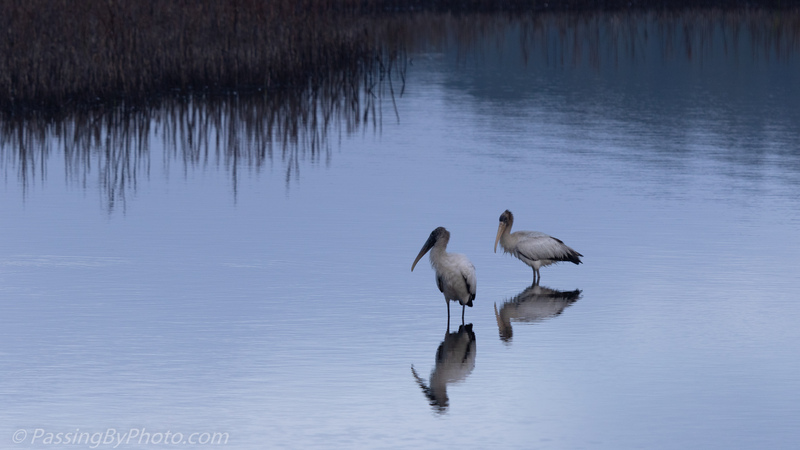 The pond was still and the Wood Storks were moving slowly, as if slowed down by the moisture in the air. Both photos show a beautiful reflection of the birds in the water. The water and light were just perfect for reflections that morning, Greta. There’s a dreamlike quality to the first photo. Both wonderful! Thanks, Belinda! That was an unusual air — not quite fog but a nice touch for photographs. Thank you, Paz. It is a serene place, without human made noise most of the time.